It&apos;s been awhile since we last checked in with fitness nut and sneaker enthusiast The Game, but it looks like much hasn&apos;t changed in the months since. That&apos;s because The Game is still in the gym and still wearing his Kobe 9s, which appear to be his training shoe of choice. 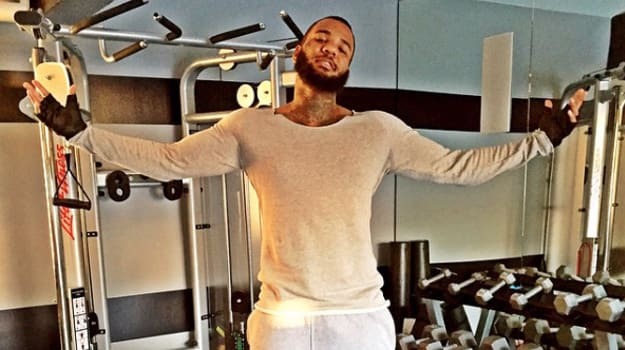 We said back in October that The Game was quickly climbing the ranks of the fittest rappers and that looks to be even more true today. Rocking the Kobe 9 "University Red," The Game kicked off the new year in the gym where he vowed to eat healthy and only drink water for the next 60 days. The real question, though, is will he stick with the 9s or make the switch to the Kobe Xs whenever they drop. It also appears that The Game is rocking Kobes outside of the gym, as the rapper has also been spotted in the Nike Kobe 9 KRM EXT "Challenge Red." Check out what The Game has been up to in his Kobe 9s below and keep it with Sneaker Report for al your celebrity fitness and sneaker news.